In March, OSHA released a report detailing what they call the true cost of not protecting employees. This report goes far beyond the usual business case for safety that most of us are taught to make when we first assume a title that includes the word “safety”. In that business case, we are taught about direct versus indirect costs (remember the iceberg? Direct costs are the tip that you can see (medical costs and wages), and the indirect costs (like retraining, lost production, counseling, etc.) that amount to four times as much as the direct costs are hiding beneath the surface. So, when you first see this title, you couldn’t be blamed if you expected a re-hashing of that idea. I certainly did. Yet, delving into this report, it was clear that that wasn’t the angle OSHA was going for. They were looking far beyond that. In fact, they were looking at not what costs the employer bears, but what costs – what burdens – are borne by the injured employee and society as a whole. Sounds lofty, but the information is compelling. 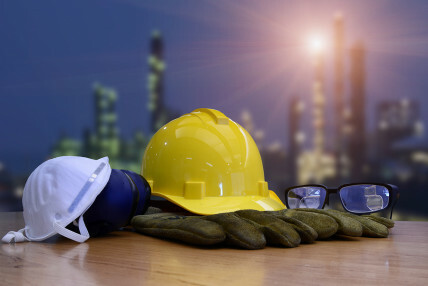 The report starts where most reports on occupational health and safety begin: with the fact that thousands of workers are killed in the US each year and millions more are injured. This is not news. What is news is the fact that in a country whose states have been implementing worker’s compensation systems for decades, the injured employees, their families, and taxpayer-supported programs are still paying most of the costs. In fact, workers are bearing about 50% of the financial burden straight out of their pockets, while worker’s compensation only covers 21%. The report goes on to tie this fact to income inequality. The report goes on to tie this fact to income inequality. According to OSHA, these injuries occur more often to low-income earners (because they tend to have the more dangerous jobs) whose career advancements are, subsequently, hindered by their physical and/or emotional limitations. As a result, these same people can’t break free from a lower economic class because the financial burdens they are forced to absorb are too great. 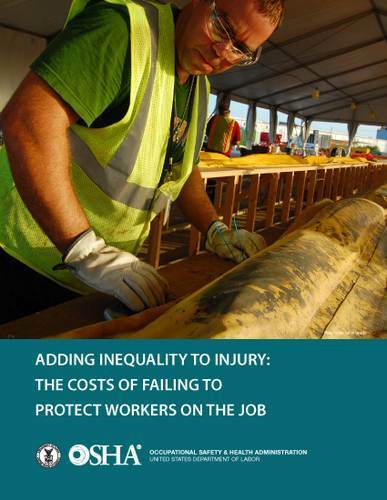 The report points to a study done in New Mexico that shows that injured workers earn 15% less over the ten years following their injuries than they would have if they hadn’t been injured…on average, $31,000. All of this is attributed to a few things. First, it has become increasingly difficult to get the full payout due an injured worker due to changes in the states’ worker’s compensation systems (and that’s in instances where the system is actually being used – only 40% of eligible injured workers apply for the benefits). The reasoning for these changes probably depends on your political point of view with one side of the fence blaming greedy corporations sticking it to the little people while the other side would blame the need for tighter restrictions because of all of the fraud and abuse of the system. In reality, the truth – as always – is probably somewhere in between. Also, the misclassification of wage employees as independent contractors as well as the vastly increased use of temporary workers has changed the work landscape so that companies are not responsible for providing worker’s compensation insurance. Add to this that these companies feel freed from the need to provide safe working conditions and/or training since these are not technically their employees and you’ve got a recipe for disaster. While it may be easy to turn a blind eye to this as something that doesn’t affect you, the reality is that it does. Those injured employees falling through the cracks of worker’s compensation insurance programs end up enrolling in SSDI (Social Security Disability Insurance) and Medicare. The payer of those programs? You, the taxpayer. Who is really being injured by workplace injuries? The conclusion? More effort needs to be put into injury and illness prevention. There is no better solution than keeping these tragedies from happening in the first place and, despite 40 years of an obligation to provide a safe work environment, many companies still fail. The report suggests that worker’s compensation programs need to work to remove the roadblocks to proper pay as well. In the end, the report shows that the cost is great – not just to the employer as we are traditionally taught, but to the injured and the taxpayer.